Civil War pension records are an excellent source of information about an ancestor. They give information on the service of the veteran as well as personal information. You can learn a great deal about an ancestor by using pension information. The Civil War was fought in the United States between 1861 and 1865. This bloody conflict pitted the Union against the Confederacy. Over 3 million soldiers fought during the war and 600,000 soldiers were killed during this tragic conflict. The first pensions were given to injured Union soldiers or their widows and dependents. The amount received was based on the rank of the veteran. The law was expanded in 1873 to include funds for dependent children. It was not until 1890 when the U.S. Dependent Act was enacted that benefits were expanded to veterans who had become disabled at some time, not just those who had been injured or killed during the war. By 1906 all Civil War Union veterans who had reached old age were included in pension benefits. The pension for Confederate veterans differed greatly. 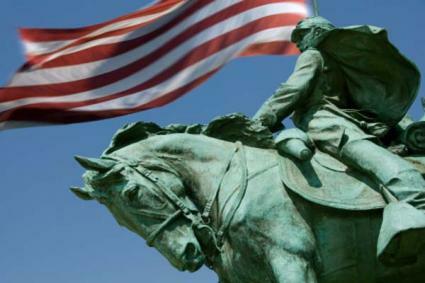 Southern veterans were not admitted into the pension system, partly because of resistance from the Federal government and partially because of the objection of Confederate veterans who did not want to depend on the government. Instead, individual Southern states began by offering artificial limbs to veterans. By the 1880s and 1890s, eleven Southern states offered remuneration to resident veterans. Eligibility for these benefits varied by state. In general, eligibility was restricted to disabled veterans or widows. Rank was not an issue in determining the amount received. Instead, it was based on disability. The Confederate pension system became more liberal as time passed. It was, however, a much smaller amount than that given to Union veterans. This is because the state financed the pension, as opposed to the Federal government. It was, however, a greater amount of the state budget than Union pensions were of the total Federal budget. Georgia spent more than any other state on Confederate pensions, followed by Alabama. Benefits for both systems were paid to veterans well into the 20th century. Billions of dollars were paid to the survivors and widows of this deadly war. Each veteran or widow was required to submit an application for benefits. These applications were reviewed and either granted or rejected. Since the system was so fragmented, each pension application varied, not only by side of the conflict, but, in the case of Southern applications, by the state where the application was made. If you are looking for Civil War pension records, it is important to know whether your ancestor fought on the Union side or the Confederate side. The Civil War Soldiers and Sailors System, which is maintained by the National Parks Service, has a free searchable database of Civil War service members.For Union veterans, the National Archives and Records Administration (NARA) maintains an online database of the pension records. NARA facilities throughout the country have microfilms of both Union and Confederate applications. Confederate pension records are kept by the state where the veteran or widow lived, not by the state where the veteran fought. Each Southern state keeps its own records, usually at the state archives. You can visit NARA for a list of state websites for Confederate pensions.